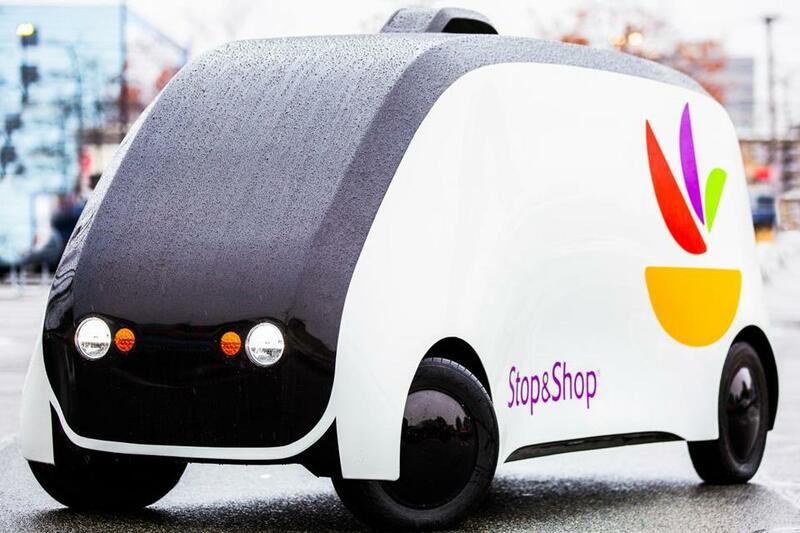 Stop & Shop wants to roll out the driverless stores this spring. 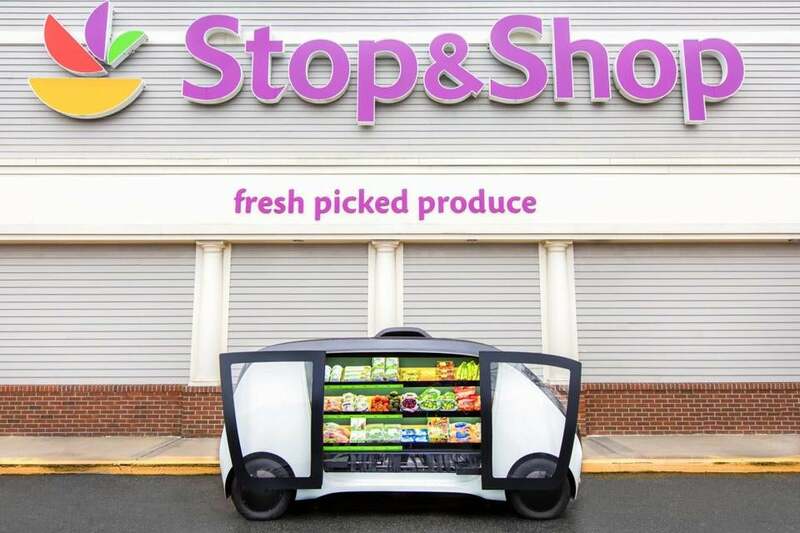 Quincy-based supermarket chain Stop & Shop said it will send remote-controlled mobile grocery stores rolling through the streets of Greater Boston this spring. Just one problem: It may not be legal. The chain said it will deploy “driverless grocery vehicles” developed by a San Francisco company, Robomart, that will be a mini-Stop & Shop on wheels, stocked with fresh fruit, vegetables, and other high-demand items. Other retailers — including grocery companies — are exploring using machines to deliver products, from Amazon with drones, to Walmart with autonomous vehicles that drop orders at your doorstep. But the Stop & Shop-Robomart service would push the evolution of shopping convenience forward, by essentially bringing the store to the customer. Under the grocery company’s plan, there wouldn’t be any humans behind the wheel — or even steering wheels for that matter. The vehicles would be operated remotely by drivers in a central location using on-board cameras and navigation systems. But unlike many of the major self-driving initiatives underway in Massachusetts and around the country, the Robomart vehicles have not been tested on any public roads anywhere. Robomart has been testing its vehicles at a former naval air station in Alameda, Calif.
And some local officials said they are not about to let Stop & Shop send Robomart vehicles into Boston’s infamous traffic without an okay from the proper authorities. Boston transportation commissioner Gina Fiandaca said the city and the state each require companies to apply for permission before testing self-driving vehicles on public roads. “Prior to any type of autonomous technology being utilized on City of Boston streets, a company must apply to go through that process so that the city may review the proposal,” Fiandaca said. Representative William M. Straus, a Democrat who chaired the Joint Committee on Transportation in last year’s legislative session, said a remote-controlled delivery service would need multiple approvals from state agencies, the State Police, and local police in communities where the vans would operate. “It would surprise me if they signed off on this,” Straus said. Stop & Shop’s stores will have a maximum speed of 25 m.p.h. Robomart asserted that it does not plan to apply for a special permit that Massachusetts requires for self-driving cars because its delivery vans will still be operated by humans — just not from inside the vehicle. Ahmed said he is “actively engaged with MassDOT” to make sure it approves his company’s plans. For example, suppose the Robomart vehicle committed a traffic violation in one community, say Wellesley, Straus asked, but the remote operator is physically located in another community? The Wellesley police, he said, probably do not have jurisdiction over that driver. And how would a police officer be able to assess the remote driver’s condition during an incident? “When an officer arrives at the scene, what they are trained to do is make observations . . . of the person,” Straus said. “Is this person impaired in any way? Do they have a Massachusetts driver’s license?” The officer can’t answer such questions if the driver is miles away, he added, meaning a drunken Robomart driver may well avoid a charge because there would be no way to quickly administer a reliable blood alcohol test. The inside of a Robomart vehicle is essentially a compact grocery aisle, with none of the driver controls found in conventional vehicles: steering wheel, brake pedals, driver’s seat. By contrast, the self-driving vehicles that have permission to test in Massachusetts were first required to have a human behind the wheel, ready to take control of the vehicle manually in case of problems; in the Robomart vans, there won’t even be a cockpit or place for a human to sit. Customers can hail a Robomart van using a smartphone app and purchase items on the spot. The vehicles will have sensing technology that will record customer selections and bill them electronically. The vehicles are battery-powered, with a top speed of 25 miles an hour, to minimize damage during an accident. Ahmed expects typical speeds will be about 16 miles an hour, suggesting the vehicles will not be on local highways. The remote drivers communicate with the vehicles through cellular radio links to multiple carriers that will ensure redundant connections in case the vans lose contact with one service. If they are cut off from headquarters completely, Ahmed said, the vans will pull over and stop. Ahmed said Robomart will hire drivers with local knowledge of Boston-area geography and traffic patterns, and will not run the vans in poor weather. At some point, Ahmed expects the Robomart vehicles to be fully autonomous and not need a remote human operator. The service is supposed to launch this spring. Stop & Shop has not disclosed the communities where the service will be offered. The alliance with Robomart comes at a time when other major supermarket chains, including Walmart and Kroger, are testing self-driving delivery vehicles in various parts of the country. Unlike the Stop & Shop-Robomart service, those chains are experimenting with fully autonomous vehicles, and proposing to deliver prepurchased orders only. Adam Vaccaro contributed to this report. Hiawatha Bray can be reached at hiawatha.bray@globe.com. Follow him on Twitter @GlobeTechLab.